Carlos Dunlap is back at work in season No. 10. 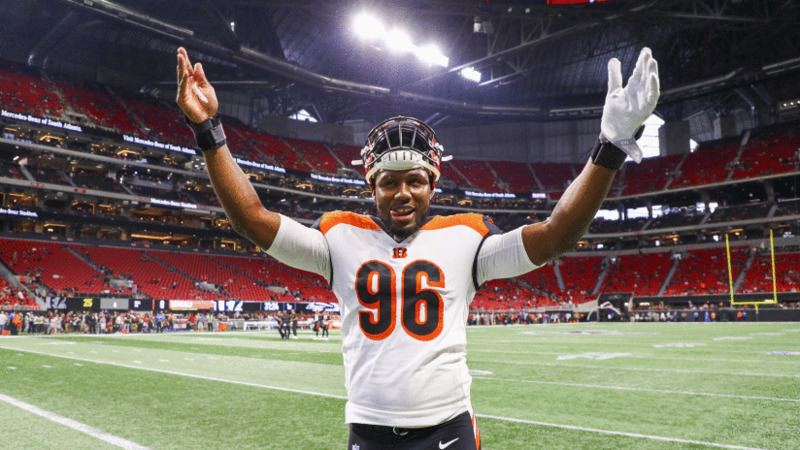 Carlos Dunlap, who begins his 10th season second on the Bengals’ all-time sack list just 11.5 away from breaking Eddie Edwards’ franchise record of 83.5, is also second on this roster for career games played on offense or defense with 134. That’s just three games shy of the leader, Dunlap’s draft classmate and defensive linemate Geno Atkins, and shows you the scope of change shooting through the defensive depth chart. Not only is their new locker room leadership, but every position group except the secondary has new coaches, led by defensive coordinator Lou Anarumo and senior defensive assistant Mark Duffner. For the first time in his career, Dunlap is coached by a former NFL defensive lineman in Nick Eason. There looks to be a 50-50 shot the defense may get another new guy as soon as the 11th pick in next Thursday night’s first round of the draft to make the transition even starker in this offseason they’ve decided to move on without right end Michael Johnson’s 141 games, fifth most by a Bengals defensive lineman, and Vincent Rey’s 128, fifth most by a Bengals linebacker. Throw in the release of their best linebacker, defensive captain Vontaze Burfict, and the unit is not only going through Anarumo’s installation, but also growing pains. Reggie Williams 206; Glenn Cameron 159; Jim LeClair 158; James Francis 133; Vincent Rey 128. Dunlap gave a quick look around the room as the Bengals look to replace Burfict, the straw that stirred the drink. Seven-year safety Shawn Williams showed he was comfortable in a vocal leader role last season. Eight-year cornerback Dre Kirkpatrick is showing it now. He thinks they need a vocal leader at all the positions but wouldn’t overdo it. He believes Preston Brown, in his sixth season and Nick Vigil, in his fourth, are a pair of lead-by-example guys that could talk it up if needed. “We’ve got a couple of guys. Spread the wealth,” Dunlap said. “We’ve got a handful of guys. 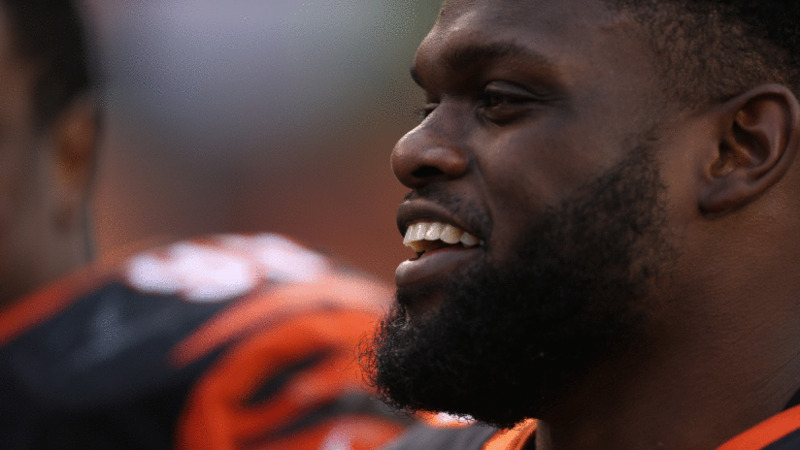 Geno Atkins, with 137 games, has the most games on the Bengals offense or defense. Change is in the air because last season’s change with a new coordinator Teryl Austin was so disastrous he was fired in midseason with the team on pace to allow the most yards of all-time and even head coach Marvin Lewis taking over things couldn’t stave off a last-place ranking in the league. On Tuesday guys like Dunlap, Brown and Vigil said Austin can’t take the blame for the whole thing and that even if the scheme was too complicated and onerous as has been suggested, it’s still the players’ responsibility. “We were a banged up group. We were banged up at a lot of positions and never built a chemistry,” Vigil said. And like Dunlap says, it’s going to be totally different since it’s a new playcaller and that’s when the coordinator has to take out the gray and make the scheme as black-and-white as possible. 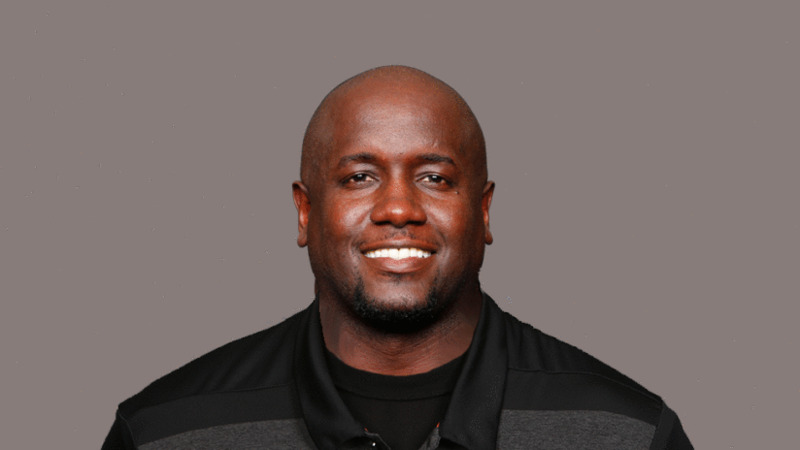 New D-line coach Nick Eason played 101 games with Cleveland and Pittsburgh. It’s early. How early? After next week’s three-day voluntary minicamp, the veterans don’t get back on the field for another month. But Dunlap likes his interactions so far with Eason, who played most of his 117 games in the AFC North during an eight-year career that ended in Dunlap’s second season. This is clearly a different season for Dunlap. Last year he didn’t participate for most of the OTAs before getting a three-year, $40 million extension and if you ask him what we can expect from him this season it sounds like he’s talking about his entire defense. The defense has been far from consistent. Their last great hour was three years ago in the Wild Card Game they allowed the high-octane Steelers a mere 18 points. But Dunlap and Atkins are still here. They have three first-round cornerbacks and two experienced and productive linebackers if they can stay healthy in Brown and Vigil. And maybe, just maybe that 11th pick.